Since I believe any day can be a no housework day, I offer this article. Lynn Dove's Love the Wounded book blast! Enter a Drawing! Love the Wounded by Lynn Dove is the final and dramatic conclusion to her brilliant Wounded Trilogy series that has followed the lives of teenagers Jake, Leigh, Mike, Dylan and Tim as they come to terms with a series of tragedies and events that have made each of them question why God allows “bad things to happen to good people.” Leigh does not know who to choose…her heart tells her she will always love Jake, but he has changed so much since the death of their friend, Ronnie, and with his mother going through breast cancer, he has totally closed himself off from her emotionally. Now she is dating Dylan and try as she might to accept him for who he is, she can’t stop thinking about Jake! Dylan has never gotten over the loss of his father and little sister, killed by a drunk driver when he was just a young boy. After a horrific accident that has put both Tim and his little brother, Evan in the hospital, everyone knows that not only is he being bullied at school; he cuts himself to cope with it all. But meeting Cassidy has given him the courage to stand up to the bullies and at the same time give her what she so desperately needs…a life-giving bone marrow transplant. Jake’s mother keeps telling him that “God works all things out for good” but with all the things going on in his life and with his friends, he’s just not sure anymore. It is only after Mike is paralyzed in a car accident that Jake was partially responsible for that all the families and friends will be brought back together, not by coincidence, but by God’s design and then Jake will finally believe that God truly does Love the Wounded. Lynn Dove Lynn Dove calls herself a Christ-follower, a wife, a mom, a grandmother, a teacher and a writer (in that order). 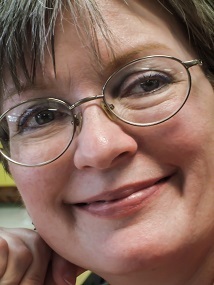 She is the author of award winning books: The Wounded Trilogy. Her blog, Journey Thoughts, won a Canadian Christian Writing Award - 2011. She has also had essays published in "Mother of Pearl: Luminous Lessons and Iridescent Faith" and "Chicken Soup for the Soul - Parenthood" (March 2013). Enter below to enter a $50 amazon gift card, sponsored by author Lynn Dove! a Rafflecopter giveaway This book blast is hosted by Crossreads. We would like to send out a special THANK YOU to all of the CrossReads book blast bloggers! From the publisher: A romance writer and her estranged publisher husband spend a summer together in their Connecticut estate. But when reconciliation seems possible, malignant forces within the home seem determined to keep them apart. A lifetime of regrets in a marriage kept up for appearance's sake comes to the tipping point in its thirtieth year. Sylvia and Henry Fitzgibbons have struggled along because they are comfortable in their Wednesday dates, their parasitic lifestyle and separate tents, so to speak. Sylvia, aka Lana Longstreet a somewhat over the top romance writer, has overstepped her bounds as a bread-winning wife and allowed her devil may care Lana personality trump her husband, Henry, who along with an army buddy partner, runs a successful publishing firm catering not only to Lana but others. Henry and Sylvia could have been divinely in tune but for their personal hangups and decided lack of confrontation, er, communication skills with each other. They are, of course, in love as well as lust with each, but can't figure out how to make the other aware of their feelings. In true Lana form, Sylvia bought a mansion for herself early on in the marriage. She decamped there, outside of New York City, to write and mother their two children. Henry always hated the early American historic home, and claimed the feeling was mutual. Sylvia ignores the odd things that happen upon occasion and made fun of Henry for his fears. But the summer of the roses, the last-ditch effort Sylvia makes to try and salvage their marriage, forces them to face their...ghosts. Literally. If Sylvia and Henry can't find the means to confront themselves, outside influences force them to decide whether they are stronger alone or together, and even better, three-stranded with the One God who above all else, keeps them in perfect peace. Told in snippets from Sylvia and Henry's viewpoints, along with chapters from the novel Lana is currently writing, Days of Vines and Roses is an interesting read. From things that go bump in the night to facing the demons that make us who we are, and force us to confront the choices we've made and how those choices affect others, readers of contemporary fiction who like a forties-era feel to their heroes will find reasons to keep turning these pages. From the publisher: Margaret McWhorter enjoys a laid-back Freshman year in high school flirting with Jimmy Willmore, swimming and hanging out with friends—until that day. Her brother, Sean, suffers a stroke from taking a steroid. Now he’s lying unconscious in a hospital. Margaret’s angry at her dad for pushing Sean to be a great quarterback, but a fire of hatred burns inside her to make the criminals pay. Pallotta’s high school drama could take place anywhere. Pressure from all sides: parents, teachers, coaches, and peers take their toll, no matter the size or type of school. Margaret McWhorter and her brother Sean attend the exclusive Meriwether School, one which is targeted by drug-trafficking creeps who have infiltrated the very place that’s supposed to be a safe and supportive environment. It’s not enough to be talented in the world of high school athletics. Margaret and Sean’s parents unwittingly push their son over the edge as new competition for Sean’s quarterback position comes in and takes over. Sean is pressured into taking steroids and body-building, and suffers a stroke and subsequent coma. Even though the pressure for Margaret, a champion swimmer, is eased by Sean’s condition and the resulting parental guilt, she can’t stop her own consuming desire for vengeance against those who hurt her brother. But Margaret is only a freshman. She’s just learning about life in high school, what can she do to find the bad guys? And who are they? Who can she trust, besides her mother’s faith that God will make everything right? And Dad—he was the one who pushed Sean too much to begin with. Detective Garrett, the one assigned to the case, is moving way too slow for Margaret’s taste. He won’t figure things out until someone else gets hurt, and Margaret isn’t about to let that happen. She finally confides in her best friend Emily, who agrees to keep her eyes and ears open around school and their fav hangout, The Grill. Life changes in many ways as Margaret is forced to learn who to trust and what to believe in. Emily is a Buddhist, and a boy Margaret secretly admires, Jimmy, wants to hang out and help find the people behind the drugs. Is Emily’s faith stronger than Mom’s? And what does Jimmy really want? Find out in this great new read. Told in first person, follow Margaret’s journey to discover the depth of true character and faith not only in school and friends, but family. Book Blast: My Treasures - Four Week Mini Bible Study by Heather Bixler - $25 Amazon Gift Card Giveaway! In this four-week mini Bible Study, we are not going to examine how to manage our money. Instead we are going to examine our heart towards money. One thing I have learned when it comes to money is this, it's really not about HOW much money you have that will determine whether you are broke or rich, it's WHERE your heart is towards God and towards money. Enter below to enter a $25 amazon gift card, sponsored by author Heather Bixler! a Rafflecopter giveaway This book blast is hosted by Crossreads. We would like to send out a special THANK YOU to all of the CrossReads book blast bloggers!